Thank you for purchasing Avocation Pro. Before you get started, please be sure to always check out these documentation files. We outline all kinds of good information, and provide you with all the details you need know to use Avocation Pro Theme. If you are unable to find your answer here in the documentation, please contact us on our Support desk. Premium Support - To our support desk. After the purchase you will be able to download the theme .zip file. When done, you should see avocationpro.zip (zip file name can be changed from version to version). Please, follow the steps below to install Avocation Pro Theme. Step 4 - Choose avocationpro.zip. Step 6 - Congratulation you are ready to use Avocation Pro, but first Activate your license key. If you get the “Are you sure you want to do this” message when installing avocationpro.zip file via WordPress, it means you have an upload file size limit. Install the theme via FTP if this happens, or ask your hosting company to increase the limit. If you get an error saying that the stylesheet is missing, then you have uploaded the wrong folder. Please check that you are uploading the avocationpro.zip within the Theme Files folder. When done, you should see avocationpro.zip(folder name can be changed from version to version). 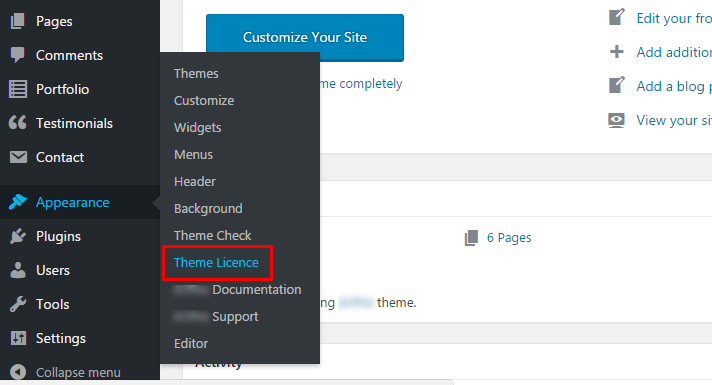 After installing the theme the first step to take will be activating the theme license. Enter the license key and you'll get access to theme support. 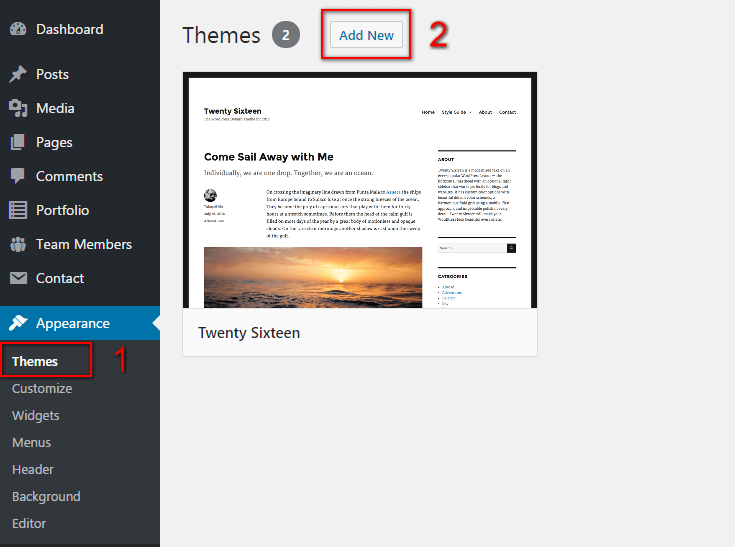 Step 1 - Go to your WordPress Dashboard > Appearance > Theme License. Step 3 - The final step is to click on Save Changes. After activating the theme and the license a notice should appear on the top of the screen, click on Begin installing plugins. Follow the below instruction to activate all the necessary plugins. Step 1 - Got to your WordPress Dashboard and click on Begin installing plugins. Step 3 - Once the plugins are installed go back to Install required plugins and Activate them all. Before importing the dummy data Make sure you have installed all the plugins and set the permalinks. Once the theme will be activated you will see the option for importing demo. 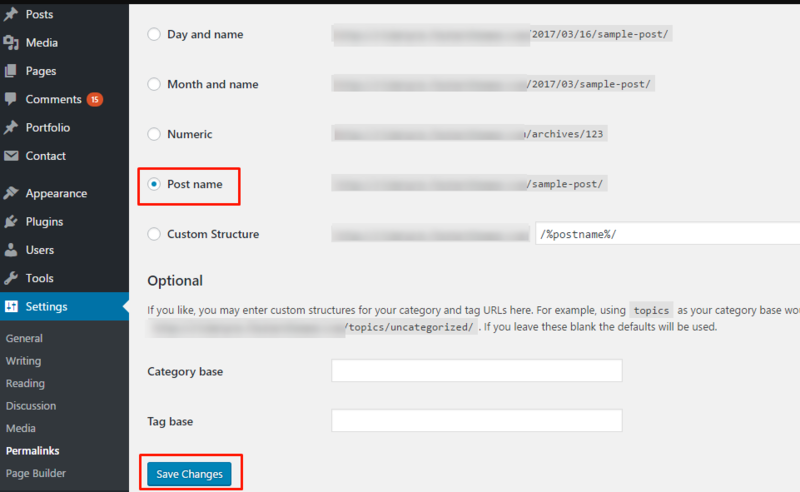 Step 2 - Go to Settings > Permalinks select Post name & click on save changes. 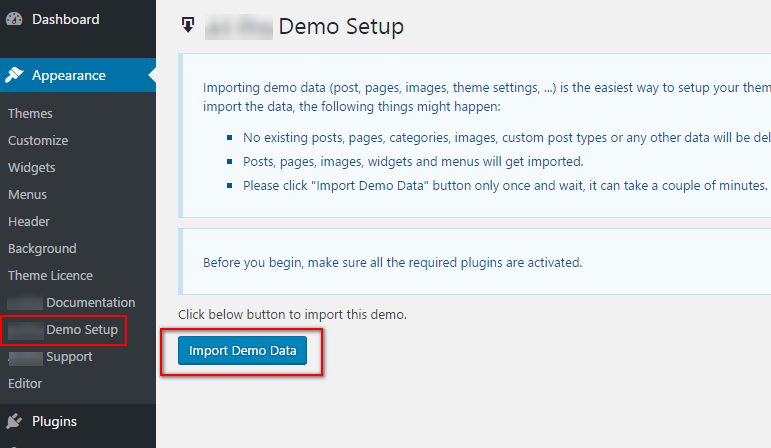 Step 2 - click on Import Demo Data. Step 3 - Done! Menu and Home Page will be automatically set. Go to Pages > Add New or edit any page scroll down the page and at the bottom you'll find below options. 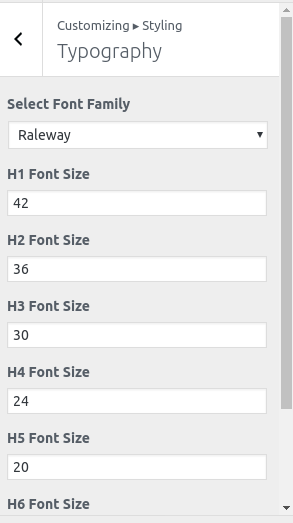 Here you can choose whether to show or hide your header menu. 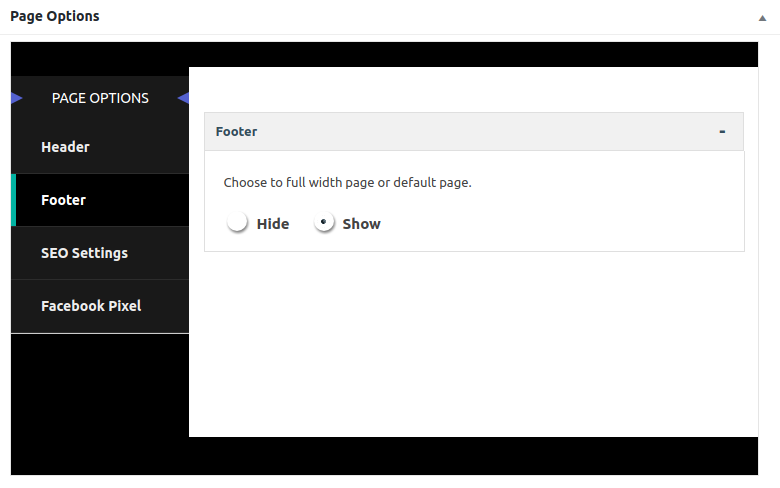 Here you can choose whether to show or hide your footer widget area . 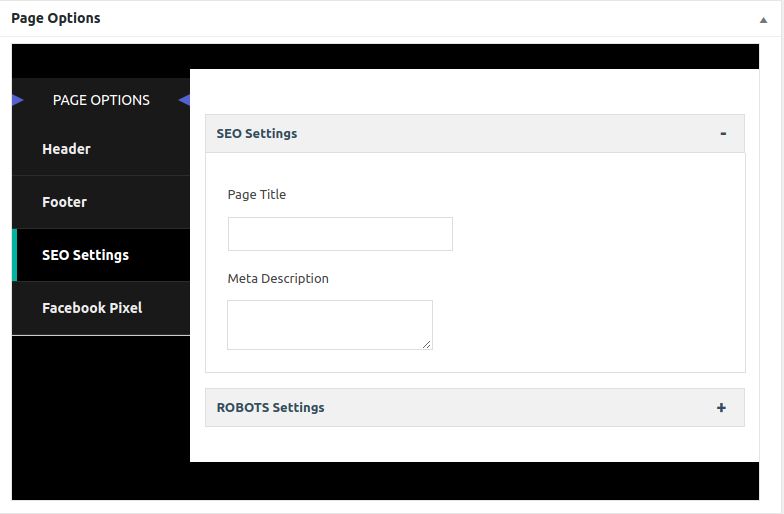 Here you can assign page title and meta description and also manage the robots setting. 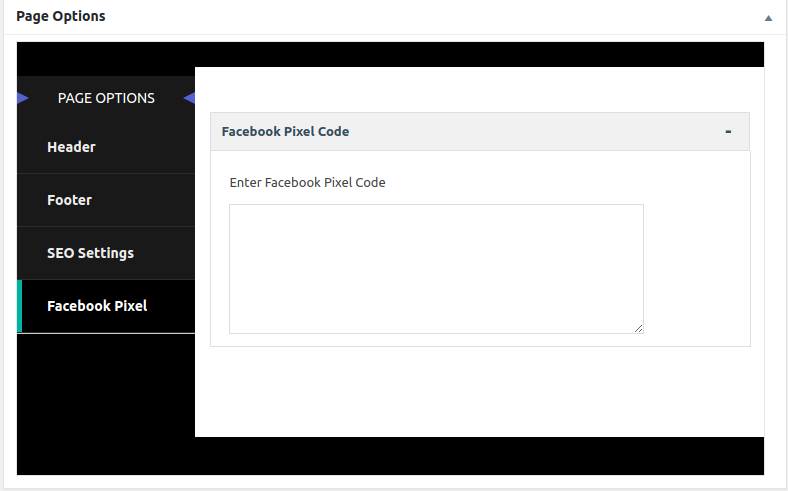 Here you can add your facebook pixel code for your website. Important Note: We use SiteOrigin page builder plugin so if you're not familiar with it then please click here to check SiteOrigin Page Builder Tutorials to understand how the page builder works. Go to Pages > Add New or Edit a page. Click on the Page Builder tab and go to Add Widget as shown in below screenshots. Go to Pages > Home and you'll find below options where, you can make the changes as per your requirements. In this widget, you can set image slider in any page. Using this you can add slider frames and controls. In this widget, you can change your details and build your posts query to display the posts. In this widget,you can change your project details and build your posts query to display the projects. In this widget, you can change your testimonial details and build your posts query to display the testimonials. In this widget, you can change your business details. 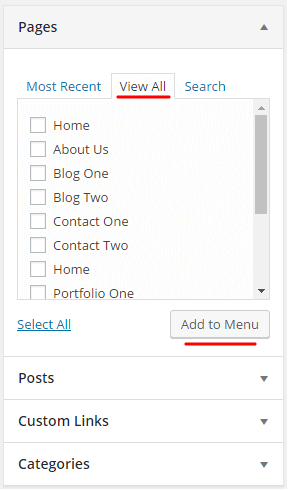 In this widget, you can change your blog details and build your posts query to display the posts. Go to Pages > Contact Us and you'll find below options where, you can make the changes as per your requirements. In this widget, you can change text in the page. In this widget, you can change your contact details and features. Go to Pages > Projects and you'll find below options where, you can make the changes as per your requirements. 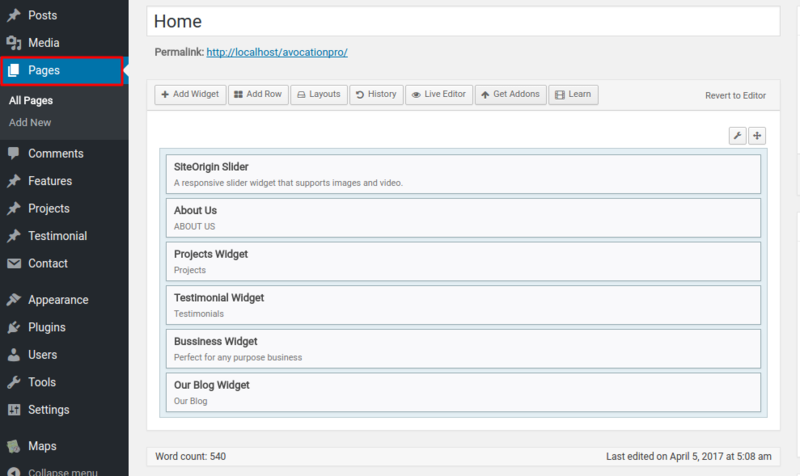 In this widget, you can change your project blog title and build your posts query to display the projects. Go to Appearance > Customize and you'll find below options where, you can make the changes as per your requirements. In this panel, you can change your breadcumb background image, footer background image and blog title . In this panel, you can manage your social links. In this panel, you can change your front page and post page. 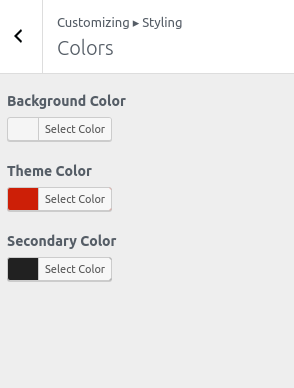 In this panel, you can change your theme color , secondary color and background color. In this section, you can change your theme fonts. 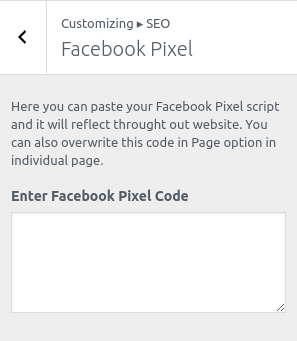 In this panel, you can paste your Facebook Pixel script and it will reflect throught out website. You can also overwrite this code in Page option in individual page. 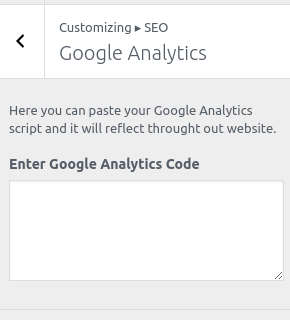 In this section, you can paste your Google Analytics script and it will reflect throught out website. 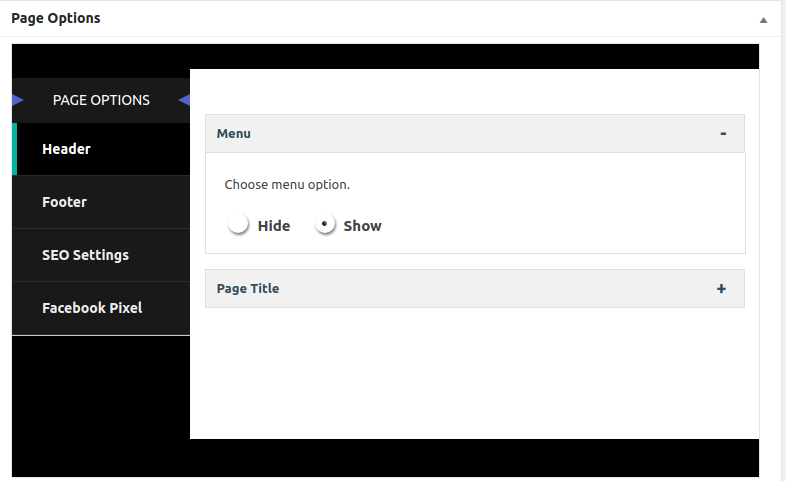 In this panel, you can change hide show footer area , set column for footer widgets and also set copyright in footer.